There are many different forms for use in small claims proceedings. Here are the most commonly used forms, what they are for, and who uses them. This form is the one the claimant fills out and submits to the court in order to lodge a claim. It provides a space on it for brief details of the claim and the value, as well as the court fee and any solicitors costs to date. The response pack that is sent to the defendant(s) has an Acknowledgment of Service on the lower part of the form, in which the defendant can notify the court as to whether he or she intends to defend all or part of the claim, or dispute the jurisdiction (for example that the case shouldn’t be heard in England and Wales). This comes as part of the response pack, and allows a defendant to lodge a defence to dispute all or part of the claim, and also to lodge a counterclaim if necessary. If the defendant admits all or part of the claim, they can do so on the Admission Form. This also requests information such as employment, bank account details, savings and whether the defendant owns or rents their home. This information is used to assist the claimant to enforce the judgment should the defendant not pay after judgment is entered against them. This form is used by a party to a proceedings to request an order from the court, e.g. for summary judgment, for substituted service etc. This form is very important for all civil court proceedings. The claimant must file it at court by the date at the top right hand corner of the front page. There is an opportunity for the claimant to request a stay of the proceedings (if there is a chance that the case could be settled), and also to ask for the hearing to be at a specific court, e.g. if the claimant requires disabled access. 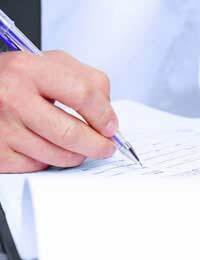 The claimant also has to certify that pre-action protocols have been complied with. Pre-action protocols are sets of steps that a claimant is expected to taken prior to lodging proceedings. There are pre-action protocols in the Civil Procedure Rules in relation to personal injury, for example, but not in relation to debt recovery. However, even if there is no pre-action protocol for a type of claim, claimants are still expected to act as though there is one. This is a form that accompanies documents that are disclosed by either party, and shows the age of the documents, where they were taken from (e.g. office records) and a description of the documents that are being disclosed. It is very important to comply with the requirement to disclose documents to the court, and this form is accompanied by a ‘statement of truth’ that means that the person disclosing the information is bound to certify that what they are disclosing is true to the best of their knowledge. This form is a pre-trial checklist. It informs the court as to trial-readiness, compliance with any directions the court may have given, the number of witnesses that will be attending. This information enables the court to determine how long the trial is likely to take, and therefore they can apportion court time accordingly. A small claim is not expected to take longer than one full court day, which is five hours long. @EILEEN - I am glad this has helped you, just sorry it was too late to be useful for your own personal court case. is there a template fo a witness statement? @Debby _ I have included a step-by-step CAB link regarding preparing for the court here. I hope this helps. I am preparing for small claims court trial without a lawyer.I have to summons witness to attend trial.What is the procedure to do this? I think your site is absolutely excellent. I used it to help a friend apply to the small claims court to get back a tenancy deposit. We followed the guidance on producing witness statements and submitting evidence. After the papers were delivered to the letting agent and the landlord, the deposit was returned in full and the court fee reimbursed, which meant the hearing could be cancelled. Thank so much.